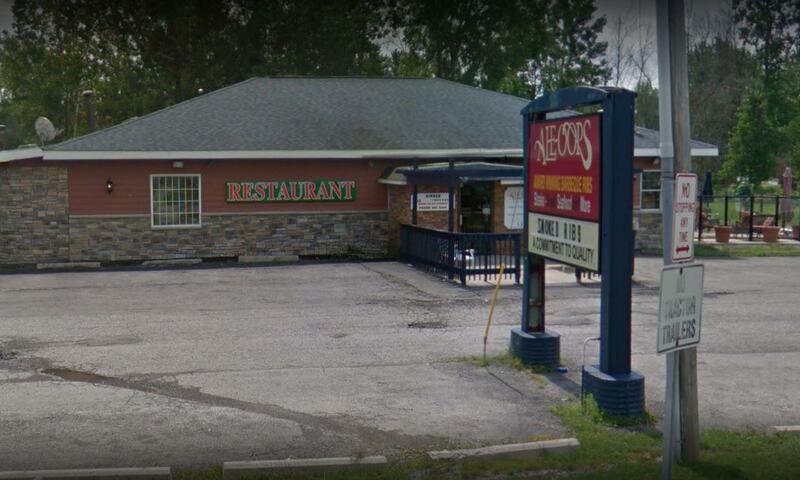 Al-e-oops restaurant in Lancaster is one of the two locations a food service worker infected with Hepatitis A was employed. 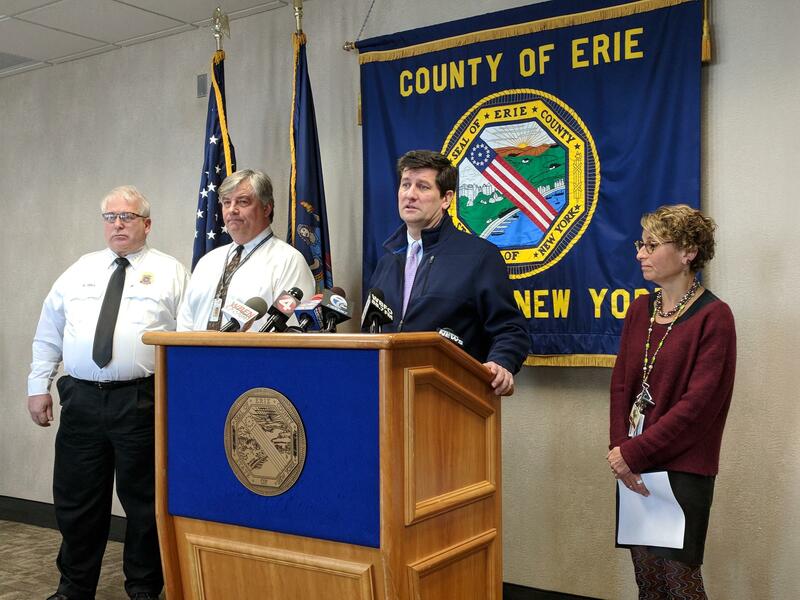 Erie County Executive Mark Poloncarz and County Health Commissioner Dr. Gale Burstein announced on Tuesday afternoon that an individual employed at Al-e-oops Restaurant at 5389 Genesee Street in Lancaster and Brookdale Senior Living at 6076 Main Street in Williamsville was infected with Hepatitis A.
Erie County Executive Mark Poloncarz announces a confirmed case of Hepatitis A in a food service worker employed at two locations in Erie County. Erie County officials were notified on Monday of the confirmed case and began working closely with the New York State Department of Health, which monitors senior living facilities. Customers who consumed food for dine-in or takeout from Al-e-oops on January 20 through 23 and 27 through 30 may have been exposed to the infection. At Brookdale, dates of possible exposure are between January 16 and 31. “At the Brookdale Living Solutions, we believe 35 residents, 40 staff members, and visitors are at risk of exposure. At Al-e-oops, we believe approximately 311 customers who ate there are at risk of exposure,” said Poloncarz. Both Poloncarz and Burstein stressed that the risk of infection to the public is low, but still present and dangerous. Prophylaxis in the form of Heaptatitis A vaccine or immune globulin is only effective within two weeks of exposure to the virus. Burstein explained there is no actual treatment for Hepatitis A. Individuals who consumed food or beverages from Al-e-oops from January 27 through 30 are eligible to attend a free Hepatitis A immunization clinic at Bowmansville Volunteer Fire Association, Station #1 at 36 Main Street in Bowmansville on Wednesday, February 7 from 3 to 8 p.m. Immunization for anyone who ate at the restaurant before January 27 will not be effective. Poloncarz encouraged those who are eligible for vaccination at the free clinic in Bowmansville to sign up for an appointment on the county’s website, www.erie.gov, in order to avoid crowding. Residents, staff, and visitors at Brookdale are instructed to contact the facility directly for more information about whether they should receive vaccination. Anyone who ate at the senior living facility between January 16 and 22 will not be eligible. Whether eligible or not, those who consumed food either location on the specified dates are advised to monitor themselves and their families for symptoms of the Hepatitis A for 50 days after the food was consumed. Fatigue, poor appetite, nausea and vomiting, abdominal pain, fever, darkening of the urine, clay-colored stool, and yellowing of the eyes and skin are among the signs of Hepatitis A.
Burstein lauded the infected individual and management at both dining locations for being extremely cooperative, and stressed that there is absolutely no ongoing risk at either site. Poloncarz said the case of Hepatitis is not a reflection of conditions in either establishment’s kitchens. While he couldn’t say when the last state inspection of Brookdale took place, Al-e-oops was last inspected by the county at the end of December. Owners of Al-e-oops said in a written statement that they are first concerned for their co-worker and patrons. “We hope and expect that he will recover quickly and fully, and no one else who worked at or visited our restaurant will contract this disease,” the statement said. Anyone who develops the symptoms of Hepatitis A should call the Erie County Department of Health at (716) 858-2929. More information is available at the county website: www.erie.gov. Follow WBFO's Avery Schneider on Twitter at @SAvery131. The owner of Casa di Pizza in the Elmwood Village said he knew a server was ill but didn't know he was infected with Hepatitis A.